Rattan grows in Africa and Southeast Asia. Rattan is a vine that is a relative of the palm and grows in tropical regions of Africa and Southeast Asia. How is rattan different from bamboo? Rattan is fast-growing and very strong like the bamboo plant, but bamboo stalks are hollow whereas rattan poles have a solid core. Are rattan and wicker the same thing? These two terms are often used interchangably when referring to woven furniture and accessories. However, rattan refers specifically to the plant itself. Wicker is not a material but a specific technique used to weave pliable materials. Furniture referred to as wicker can be made using a number of materials, including willow, rush, bamboo, straw or even synthetic fibres. Yes, rattan is a sustainable material. It’s an easily renewable resource that is easier to transport than hardwood lumber. Since rattan is a viable and profitable alternative to hardwood, it saves the land and environment from the harmful practices of deforestation and pollution associated with traditional logging. Rattan grows in floodplain areas, making use of soil that otherwise could not be used, thus providing jobs, income and habitat for wildlife. Can I put rattan furniture outside in Canada? 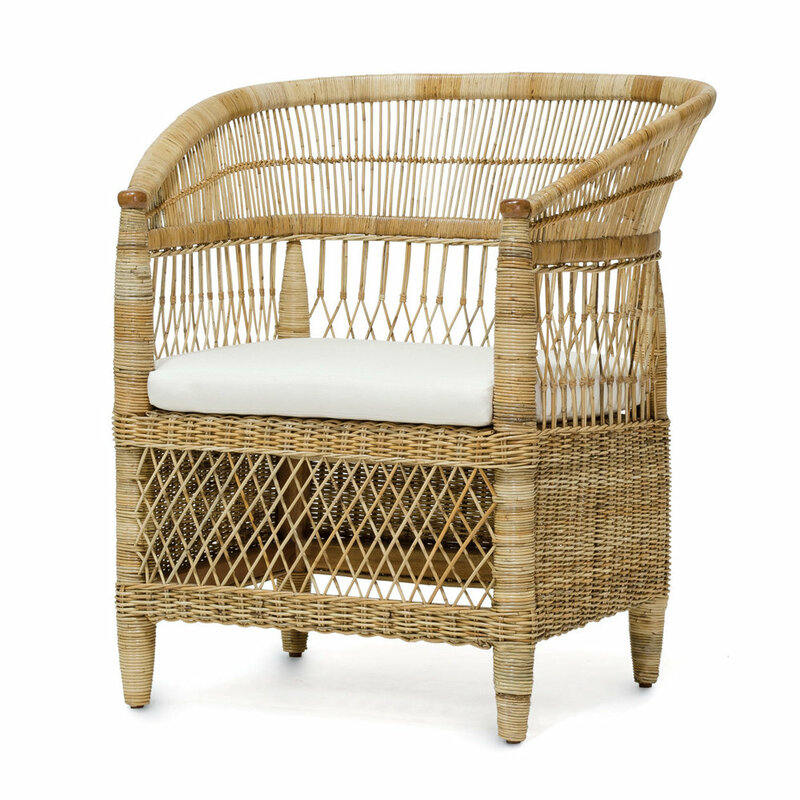 Rattan can be kept outdoors in covered areas. The colour of the material can fade with exposure to the sun, but extreme changes in humidity can make rattan vulnerable to cracking. Don’t leave rattan furniture outside over the winter, even in covered areas. Celebrate the colours and characteristics of this natural fibre and choose pieces finished in a clear coat with a matte finish. Natural rattan is the new beige. The tones echo those of white oak flooring but contrast nicely with darker floor stain tones like walnut. Add rattan to a room with painted floors and you have instant classic cottage style. Mix in a mod pedestal table to keep the look current. Layer rattan pieces over natural woven carpets like seagrass, rush or abaca to take the formality of a traditional room down a few pegs — in a good way. Substitute a fluffy beni-ourain style carpet to get the full boho effect. Add just one or two rattan accent pieces to a room and you'll get all the bang for your buck you need. Rattan plays equally nice with a sofa in leather, linen, cotton or velvet. To create a global look, mix rattan with handmade fabrics like block prints, traditional embroidery or appliquéd textiles. Add rattan into a room with lots of white to bring warmth and visual weight. Blue-and-white plus rattan equals easy coastal style. This durable material is the perfect choice for a put-your-feet-up coffee table/ottoman hybrid. Mix rattan with glass, brass and a ceramics to create an eclectic interior that looks as if collected over time. Pull in a pair of stools to finish off a console vignette and have at the ready to act as extra seating or side tables when you are entertaining. An accent piece like a pendant light is an easy way to adopt this trend without a complete rethink of a room. Since rattan is lightweight you can size up on the scale to make an even more impactful statement. 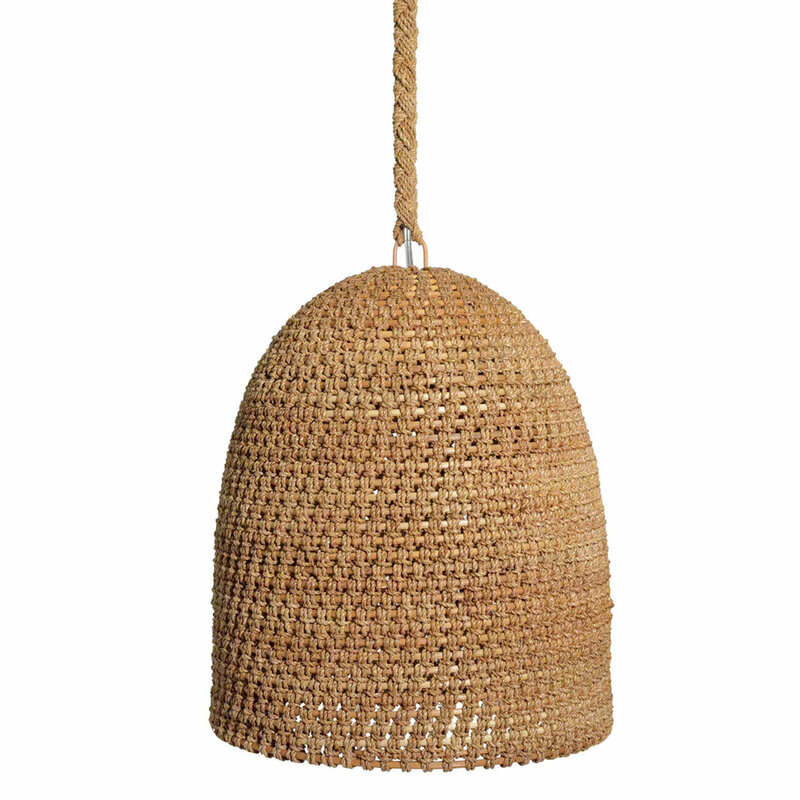 Rattan pendants direct light mostly downward, with just a bit escaping from the woven sides. That means they are are well-suited for food prep or dining areas. The pairing of basket lights with director's chairs is a natural for waterside living inspired by the islands. A pendant between twin beds might be an unexpected choice, but in a tight space where tabletop space is at a premium it makes perfect sense. The chunky open weave of rattan stools is a welcome hit of texture in kitchens filled with slick surfaces like ceramics, stone and hard cabinetry. A light-as-air looking rattan chair taking up residence in a bathroom corner calls to mind a tropical spa retreat every day. A basket isn't just for laundry. A tray isn't just for drinks. Give rattan accessories a new lease on life and bring them out of the cupboards and closets to create eye-catching and discover new uses. Arrange trays on the wall and take one down when you need to press it into action for entertaining. Fill a lided basket with spare changing cables to keep them out of sight but easy to access. Pop a plant pot into a basket with handles as a boho cachepot. Place a basket by the fireplace to keep kindling at the ready.